Computing giant converts tweets into sales at a relatively modest level. 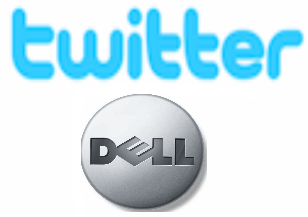 The £3 million revenue has been accrued in the two years since Dell began using Twitter, with $1 million of that figure coming in the last six months. Of course, Twitter is not charging businesses for use of its microblogging network as a sales channel yet, but is expected to do so at some point in the future. As such, Dell has been tracking the leads it generates from its Twitter posts (six-10 a week to @DellOutlet, half containing exclusive deals) using its own software.